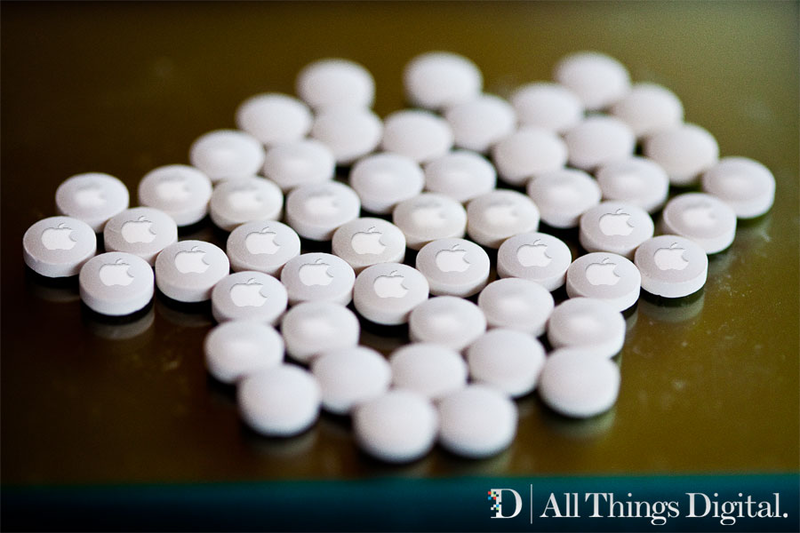 Birthed with the launch of the iPad in 2010, the tablet market isn’t yet four years old, but already it’s nearing the early stages of maturity in some markets. 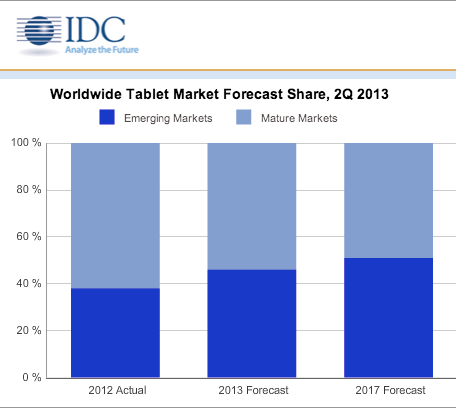 To wit, IDC’s announcement today that it is dialing back its forecast for tablet sales for 2013 and beyond. According to the market researcher, worldwide tablet shipments will peak at 227.4 million units this year, not 229.3 million units as it had previously predicted. That’s only a 0.8 percent difference, but it’s worth noting. Because while IDC expects the tablet market to continue its rapid growth, hitting 407 million units shipped by 2017, the firm believes the rate of that growth is slowing in markets that drove the surge in early tablet adoption: North America, Western Europe and Japan. 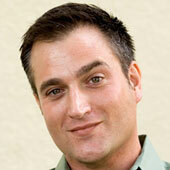 Those regions together account for about 60.8 percent of the worldwide market today. But IDC figures that by 2017 they’ll account for only 49 percent, as emerging markets (China, Latin America, the Middle East, etc.) expand to capture the other 51 percent. Another factor believed to be hampering growth: Rising consumer interest in smartphones with screens larger than five inches, and the nascent wearable-computing market. An interesting shift. That said, tablet shipments this year are expected to be 57.7 percent higher than 2012 shipments, which is still extraordinary growth. And there are a few addressable market wild cards left yet to exploit for additional growth. Tablet shipments to enterprise, for example, currently account for just 13 percent of all tablet shipments. By 2017, IDC believes they’ll hit 20 percent, which still leaves plenty of room for growth.